18k gold custom made riviera necklace consisting of 161 round shape, natural diamonds , weighing 8.10 - 8.25 carats (cttw). The stones color and clarity ranging I-J and SI1-SI2 respectively, according to GIA grading scale. 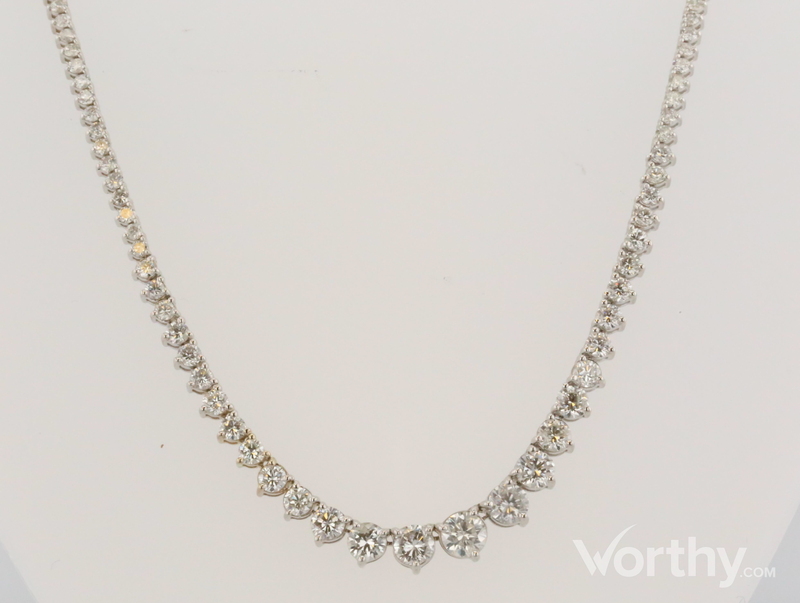 Ladies 18 kt white gold necklace that measures 17 inches long. Necklace is individually prong set in a straight line with full cut round diamonds that are graduated in sizes with the largest diamond weighing approximately .50 carats.